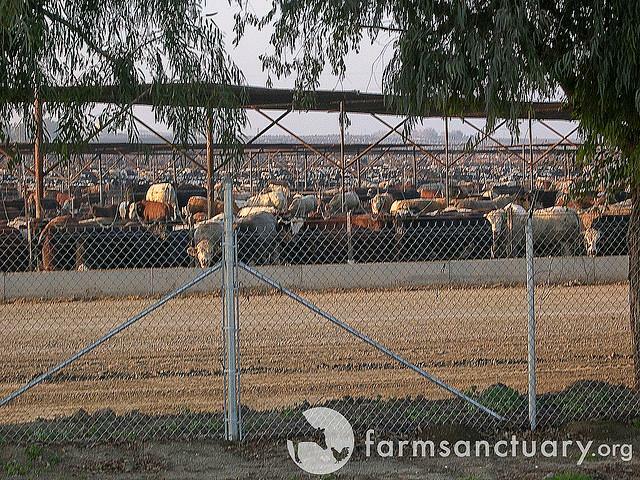 Feedlots are the last stop before the slaughterhouse for beef cattle. In a process called “finishing”, these cattle are fattened up on a high grain diet to pack on those last pounds before getting trucked off to slaughter. They are desolate wastelands of feces, urine, and filth. The stench surrounding these establishments is absolutely nauseating.